Earlier this week, fans were treated to the first look at the assembled Legion of Super-Heroes from Supergirl's upcoming episode. Now an extended preview adds more context to how they'll help protect National City. The clip shows Reign getting guidance from the hologram at the Fortress of Sanctuary, beckoning her to continue dispensing her violent brand of justice without mercy. "It's time to deliver the awakening," the projection tells the Worldkiller. Check it out in the clip above! Reign appears to break into the CatCo offices as well as the National City prison, sending a message to everyone. Meanwhile, Kara Danvers remains trapped in her own mind and struggles to break free, despite the help of Brainiac 5. The DEO, seemingly left with no other options while waiting for Kara to return, teams up with Legion of Super-Heroes members Mon-El, Saturn Girl, and Brainiac 5 to take the fight to Reign on the streets of the city. It remains to be seen if they'll be able to put up a fight given how handily the Worldkiller took care of the Girl of Steel. Supergirl has been teasing this confrontation since the end of Season Two, when they showed Reign's pod being sent from Krypton as the planet was destroyed. Samantha Arias' journey toward becoming the villain has been slow and steady, culminating before the winter break as she gets overtaken by Reign's personality. And with all of the personal drama between the various characters, especially Kara and Mon-El, this is the last thing they want to deal with. 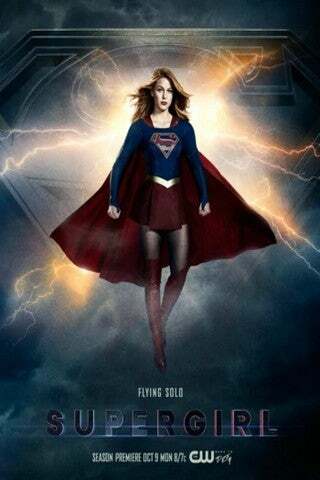 We'll see how the Legion of Super-Heroes fares in a battle against Reign, and if Supergirl returns in time to help stop her, when the show returns Monday, January 15th to The CW.